Wasta-Linux: Functional, Familiar, and Free! Wasta-Linux is perfect for anyone wanting a virus-resistant system that is not only free to share with anyone but also provides freedom of flexibility and customization. Regardless of what platform you're coming from, Wasta-Linux has an intuitive interface that is made to look familiar. 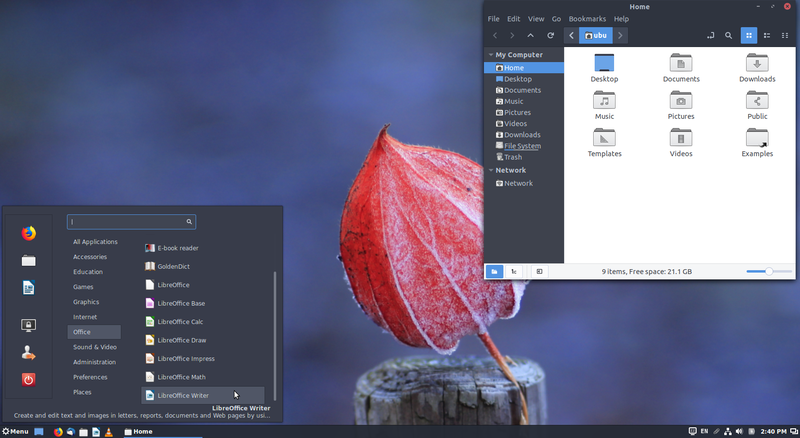 The default desktop looks and feels a lot like Microsoft Windows 7/XP, while Wasta-Layout allows users to select interfaces inspired by macOS or Ubuntu Unity. Find more detail about Wasta-Linux on the About page. Go directly to Download if you are ready to get your copy of Wasta-Linux to install. Wanting to customize to make your own version of Wasta-Linux for your users? Check the Re-Customizing page. Why Linux? is a good place to understand some of the background motivation for using Linux in a multi-national non-profit organization.